Olfactory traits in individuals with autism spectrum disorder (ASD) are considered the strongest predictors of social impairment. Compared to other sensory abnormalities, olfactory abnormalities in individuals with ASD are poorly understood. In this chapter, we provide an overview of the current assessment in individuals with ASD. Several confounding factors have to be considered when conducting research on olfaction in individuals with ASD. Qualitative measures of olfaction contain only limited information about the olfactory stimuli. In addition, little systematic information is available about individual’s actual uses of olfaction in daily life. Only a limited number of experimental studies have performed quantitative measurements of olfactory abnormalities in ASD. 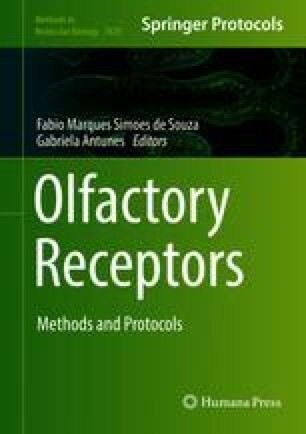 Therefore, clarifying the relationship between olfactory traits and the influence of real-life situations in a laboratory setting is very difficult. Some new methodologies for measuring olfactory traits are gradually becoming available. New methods that reveal important links between ASD and olfactory traits should be developed in the future.